Be the first one to access your matric results in January 2018. Look out for places to get your matric results. Bear in mind that website traffic will be high on the release date, so expect delayed response times. Log on to the Department of Basic Education’s website here. If you attended a public/government school, then your results will definitely be available on this site. The IEB website and News24 will also have the results available. Your results will be published in the Newspaper on the day of the results release. It will be in all of the big Newspaper brands, like The Rapport, The Argus and The Star. Remember it will not be your full results. It will just state whether or not you passed and with what symbol you passed – B for Bachelors Pass, D for Diploma, etc. A day after the initial results are released, your school will give you your results. This is not the official matric certificate, it’s just your results for each subject. 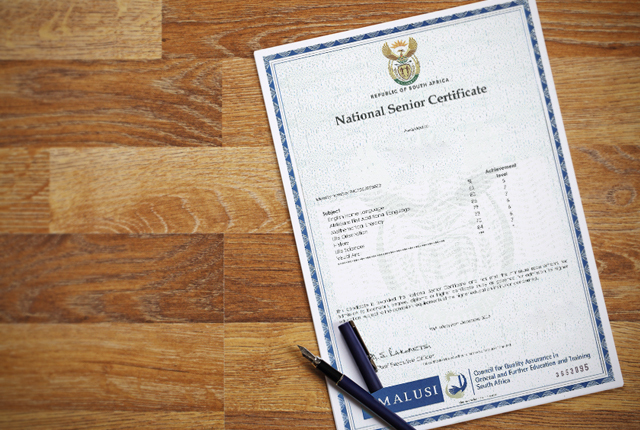 You will be able to fetch your official matric certificate in a few months – once it has been printed in full. If you are eager to get exact dates you should contact your school to find out further information. You can use your cellphone (or someone else’s) to receive your results. SABC Education and the Department of Basic Education have provided a service that allows you to get an SMS with your results. Yep, it’s pretty awesome! You can register and have your results sent to you as soon as they are released. How? You’ll get a confirmation SMS once you’ve successfully registered. Did I go out on the town or sit around watching TV when I should have been studying? Did I think I was too cool to study and now I regret it? Did I study hard enough? Did I participate in class throughout the year or did I try to make up everything at the end of the year? Did I think it was going to be easy and I didn’t put the effort in? Did I become frustrated and give up? Was I too sick to write my exams or was there a personal crisis in my life that prevented me from finishing? You can also register for short skills courses at The Shaw Academy. These courses are offered online and most of them last for about a month. The free short courses can help you to get new skills and can help you discover new business ventures. You can register at the Shaw Academy here.